1. Never too high, never too low. 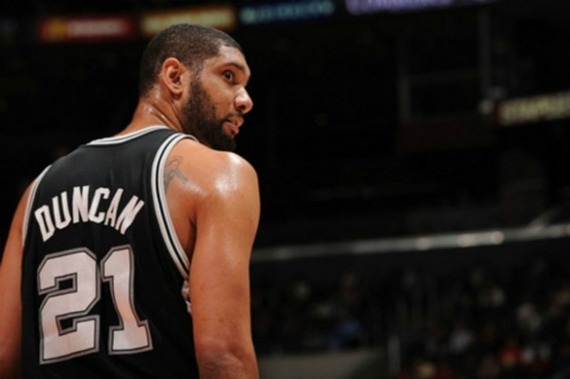 It was rare to see Duncan show much anger before, during or after a game. It was even rarer to see him crack a smile. But what he lacked in built-in charisma, he made up for with a steely and unfailing intensity. His steady demeanor was observed by hundreds of teammates throughout his career, many of whom credit him for making them better players. Do you have that consistent impact in the lives of those around you? 2. Get the fundamentals right. Shaquille O'Neal mockingly nicknamed Duncan "The Big Fundamental" for his textbook skills that were anything but flashy. But being the master of the 15 foot bank shot got him 5 rings with teams that didn't necessarily have the star power of their competition. By doing the little things the right way - even if that meant he wouldn't be on SportsCenter every night - the victories followed. 3. Follow the leader. It's hard to tell if Duncan benefitted more from Coach Popovich or if it was the other way around. It's a sort of chicken-egg debate, I suppose. But what is certain is that Duncan, a locker room leader himself, knew how to work under his legendary coach. In a world where we're all fighting to stand out, perhaps quietly following a leader we truly believe in could bring us the greatest successes. 5. Keep a low profile. In his career, it was never about Tim; it was about team. His selflessness on the court led many free agents to sign with Spurs for much less than they could have received elsewhere. Those players knew they would be on a team with a limited ego with a chance for a ring. Sometimes quiet leadership is what keeps a team together. And five-and-a-half: Use what you've got, even as what you've got changes. Duncan came into the league an athletic power forward, but as the years went by Duncan lost some of that athleticism. Father Time is undefeated, after all. Duncan evolved his game to fit what his body could do by becoming more of a jump shooter (if you can call it jumping) and facilitator. As we go through life, our skills change and by leaning into our experiences, perhaps our careers could evolve to a Duncanesque level. Thank you, Tim, for all of your lessons taught! *The rhyming was mostly unintentional.